Can-am Renegade All Years All Models Rear Rack $199.00 FREE SHIPPING! Can-am Renegade All Years All Models Rear Rack $199.00 FREE SHIPPING!! 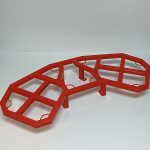 Can-Am Renegade Rear Rack Can-Am Red $199.00 Free Shipping! Can-am Renegade All Years All Models Rear Rack $189.00 FREE SHIPPING!! 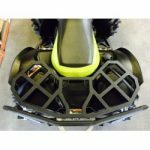 Can-Am Renegade Rear Rack Can-Am Red – Free Shipping!